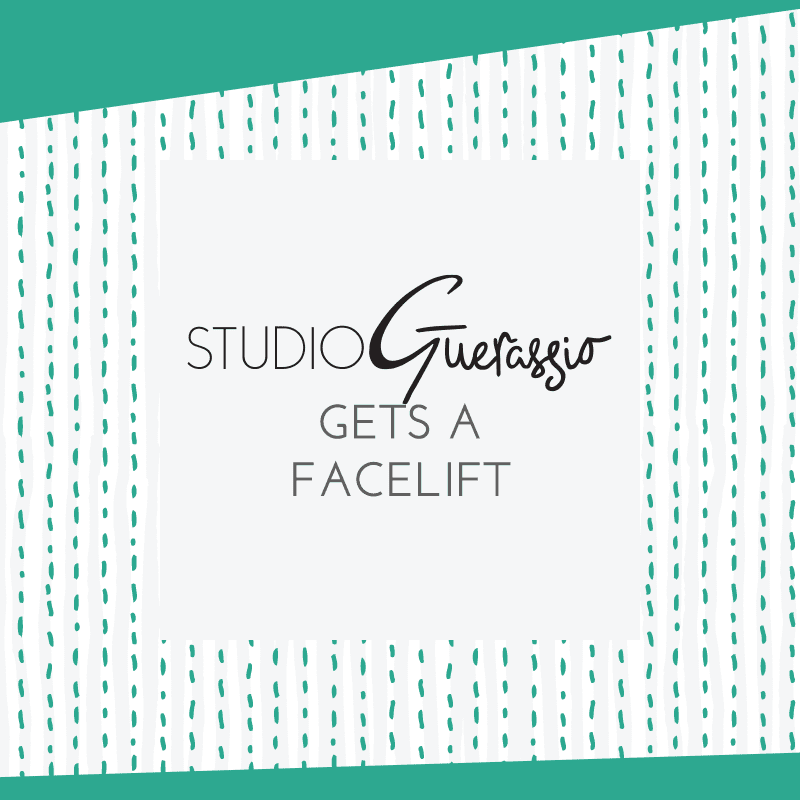 Welcome to the fresh-faced Studio Guerassio! I’m back from my 2-week break with a bang! Studio Guerassio got a new logo, new website, and overall new look everywhere. If you’re reading this in your email, you’ve probably noticed that looks a little different, too. And of course, if you’re reading on my site, you’re already experiencing the new look and layout. It’s still pairing a sans-serif with a handwritten font, but this new look feels very much more in tune with the vibe I want my business to give off. In both cases the G was hand-drawn and scanned in to be edited, but I think more successfully in the new one. My brand colors have remained the same, and supporting artwork will still mostly be photo-based. I have created a few patterns that will be popping up here and there, though (you may have already seen this if you’ve browsed around the site a bit). Overall, I feel the new Studio Guerassio is more focused, clean and on-point with the vision I have for my business. I’ve still got some tiny details to take care of around the site and will be rolling out new headers and avatars for social today, but for now – the new Studio Guerassio is live! What do you think? Is the Studio Guerassio brand refresh a success?